You are probably thinking of where to go for your next vacation, and like most other travelers you decide to put the northern lights on your wish list. Then you start to think of the best places to see the aurora borealis. But how do you track down a phenomenon that is hard to find and at the same time very impressive and admiring? If you hope to catch a glimpse of the northern lights, you need to head to the aurora hotspots. It will increase your chances of seeing them. To avoid the stress of you looking for the perfect place to see the aurora, I have put together the 5 best places to see the northern lights in Europe. Without wasting time, let us take a ride together as I show them to you. 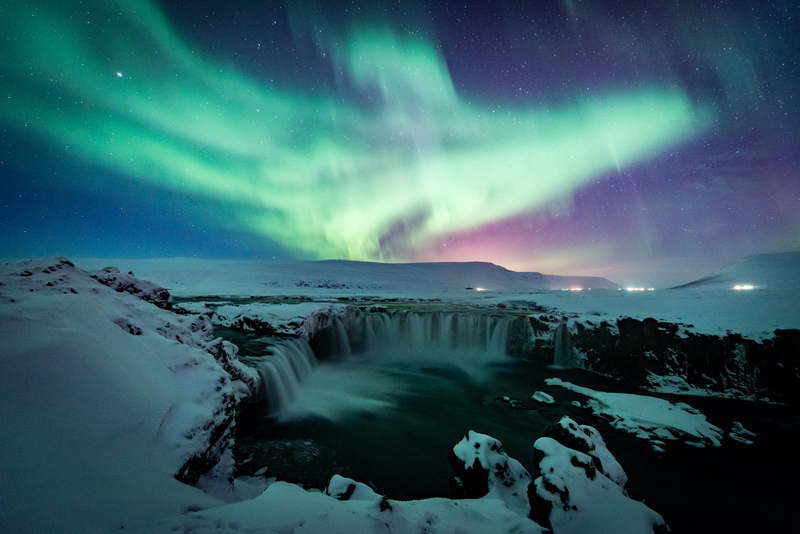 Iceland is one of the 5 best places to see the northern lights in Europe. People living in Iceland have a better chance when it comes to the northern lights. The aurora is visible eight months in a year. Depending on the weather, solar activity and your luck you can see the aurora between September and April. There are many places where you can see the northern lights in Iceland. But out of them all, Jokulsarlon Glacier Lagoon is the best spot. It is on the south-east coast of Iceland. The Lagoon is filled with Iceberg, and the reflection of the light makes the experience more amazing. Since the day Joana Lumley grew tearful at the sight of the northern lights, travelers have made the aurora borealis Norway a must-do northern lights destination. There are many locations in Norway where you can see the amazing wonder lights. Some places such as Tromso, Ersfjorden, Svalbard, Finnmark, Alta and much more. Trosmo is the most vaunted location. It is an accessible and beautiful location to see the northern lights in Norway. This is because it is located within the northern lights zone and above the Arctic Circle. You can follower the aurora borealis using the Astronomy Voyage with astronomers on board. During this trip, you will have the opportunity to the Northern Lights Planetarium. This part of Europe has become a thing of priority destination for aurora hunters. Some places to view the Sweden northern lights are Kiruna, Swedish Lapland, and Abisko. Out of all the places mentioned, Abisko is scientifically proven to be the hot spot for aurora borealis in Sweden. It is a small town located in the North of Arctic circle, and it is endowed with unique micro-climate and clear skies. You can stay in the Ice Hotel and even spend a night at the Aurora Sky station. Either way, you will have a great experience seeing the northern lights. This might be an unforgettable experience. Even though Finland is most times overlooked in favor of its neighbors Norway and Sweden, you can’t neglect the fact that the country offers a great view of the aurora. Just like every other place where aurora appears in Europe, you can see the aurora in Finland. The best viewing locations in this country are Nellim, Ivalo, Utsjoki, Inari, and much more. The fell landscapes, forest, and gorgeous lake in Finland are almost entirely free of any light pollution. This creates perfect aurora hunting conditions. It might come as a surprise that Russia made my list of the 5 best places to see the northern lights in Europe but it shouldn’t. Russia reign supreme out of the eight countries that reach north above the Arctic Circle. This means it offers freezing winters with uninterrupted nights that can last for weeks. So it is a setting for an inspiring northern light. The best viewing location for seeing the northern lights in Russia are Murmansk, Siberia and much more. Coupled with snowboarding and skiing, Russia is no doubt a place to have sweet experience of seeing the wonderful aurora borealis. There you have the 5 best places to see the northern lights in Europe. Picking any of these places to fulfill your wish of the aurora holiday is not going to be a wrong selection. Remember, you can’t just go to any of the locations discussed above without knowing the perfect time to go. You can check my northern lights prediction article and also check some other aurora prediction sites. I know you would like to say something. Of course, I will be glad to hear from you. Use the comment box.